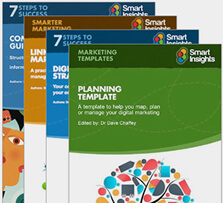 You will often hear that “new business is the lifeblood of an agency”. But to quote a well-known adage: it costs you a lot more in internal time and – often - external / freelance costs, to acquire a new client compared to retaining and growing an existing one. Agencies are often hectic places and will tend to focus on ‘BAU - Business As Usual’ in order to progress projects and campaigns for clients. And when there is some time and resource available, many will paradoxically focus on new business. 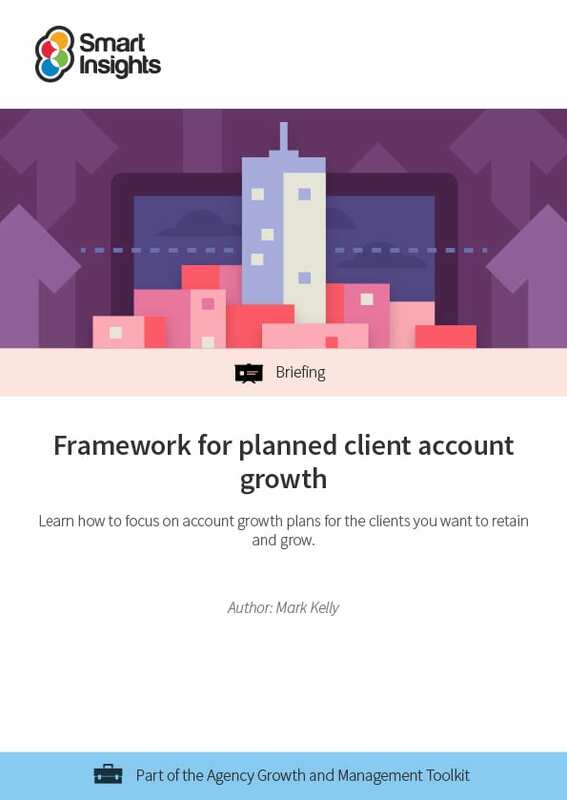 This guide however focuses on another source of agency revenue and growth that can be neglected: work coming from existing client accounts. Your client up-sell and cross-sell plans can be developed in a structured way so that you have the best chance of securing that new work. 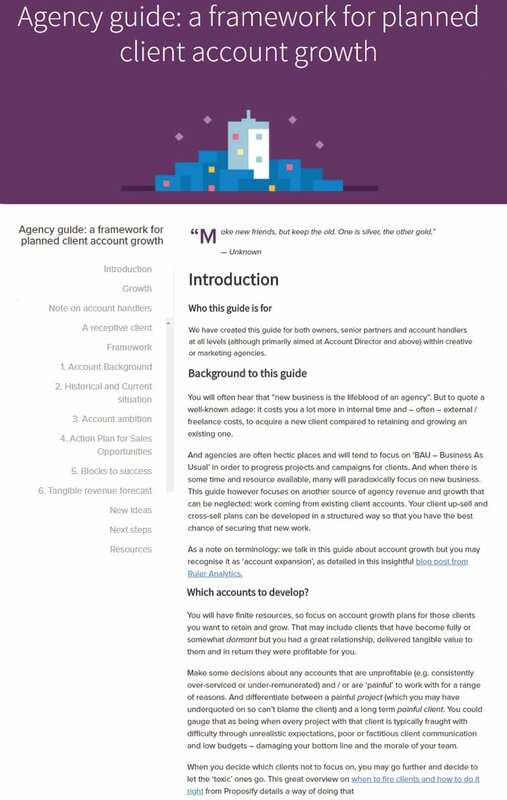 We have created this guide for both owners, senior partners and account handlers at all levels (although primarily aimed at Account Director and above) within creative or marketing agencies.